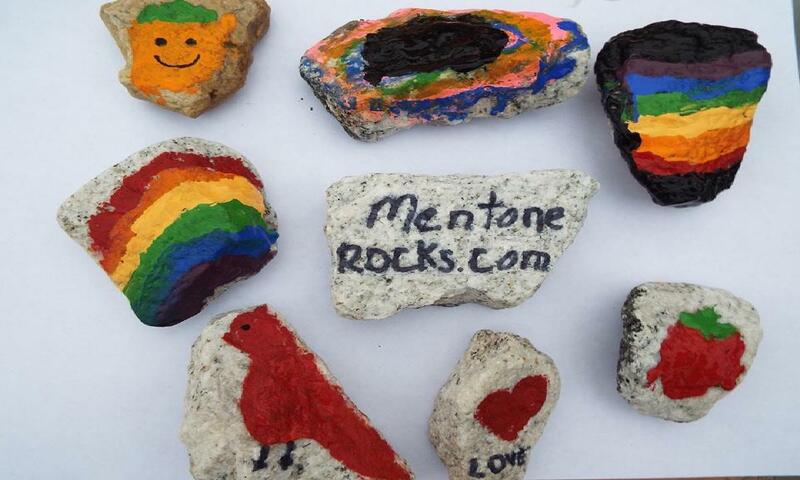 This Mentone Rocks website belongs to Colton and Gunner Hadley in Mentone, Alabama. There are Rocks projects all around the country now, so we decided that Mentone needed one "to make people happy." The rocks are called kindness rocks, friendship rocks, hidden rocks, etc. Whatever you call them, the rules are easy: Simply paint a rock, write Mentone Rocks Facebook on the back, and hide the rock somewhere in town. If you find a rock, you can choose to keep it, or re-hide it for another person to find.” If you do find a rock, be sure to go to the Facebook page so that Gunner and Colton will know they put a smile on your face. Have you seen any of the rocks and wondered what they were?